The majority of passenger vehicles and light trucks on the road today are powered by gasoline internal combustion engines (ICE). The selection of gasoline as the primary engine fuel was not made because gasoline was the most effective or efficient fuel, but because it was the most economical to use. Initially, gasoline's economical advantage was a result of high government taxation on alcohol (ethanol) - the other most widely considered engine fuel. After the Free Alcohol Act was passed in 1906 the cost of denatured alcohol (aka ethanol fuel) became as inexpensive as gasoline. Because of ethanol's characteristics that permitted higher compression engines to be used, ethanol was considered the better fuel. The First World War, as often happens during a war, spurred the rapid advancement of technology in general and internal combustion engine technology in particular. Ethanol was becoming more important in allowing automobile manufacturers to build bigger, faster, more powerful vehicles. This was a problem for the oil industry. The advent of Prohibition presented gasoline with it's next economical leg-up by virtually prohibiting the manufacture and sale of alcohol at any price, including denatured undrinkable alcohol. With the discovery by General Motors' scientists that adding tetra-ethyl lead to gasoline would mimic ethanol's anti-knock characteristics (thereby allowing gasoline to be used in higher compression engines), gasoline's dominance as the primary ICE fuel was assured. General Motors was able to patent the process and combine with Standard Oil and DuPont to make billions from leaded gasoline. There was no reason for the world's largest automobile manufacturer to build vehicles that could operate on any other fuel. As engine design progressed, engineers designed the engines to maximize the efficiency of the new leaded-gasoline by refining piston stroke length, spark timing, and air flow to meet the characteristics of the fuel. In other words, the fuel didn't inherently make the mechanical components of the ICE function better, the mechanical components were adjusted or altered to fit the fuel. If ethanol was not ham-stringed by gasoline's economic advantages, engines would have been designed and built to optimize the characteristics of ethanol. Although Prohibition was repealed about a dozen years later, the advantage given to gasoline during the critical post-war advances in motor vehicle technology and design remained an insurmountable obstacle for the re-emerging alcohol industry. If alcohol was not drinkable in its natural, non-denatured form, the alcohol industry would probably never have been able to recover at all in the United States. Nonetheless, faced with the new threat of an old competitor, the oil industry set out to malign ethanol as a fuel. Among the lies used by the oil industry was to exploit the coincidental difference in BTU rating (British Thermal Units) between gasoline and ethanol. In the 1930's this was easy for the oil industry to do because automobile engines were no longer being designed to allow driver controlled manual adjustments to carburetor air flow and spark timing. Since the engines were now automatically restricted to run on the characteristics of gasoline, naturally any fuel with different characteristics would cause the engine to not operate as efficiently, or operate at all. The oil industry explained this by claiming that the higher BTU rating of gasoline made gasoline a superior fuel. The truth was that there were simple mechanical explanations for the difference in operation efficiency, not reasons related to so-called energy content. It's like comparing the efficiency of a fork versus a spoon when eating soup by explaining the great difference on the raw material used to make the fork - rather than the obvious reason. America, and much of the world, bought the oil industry lie...to the point that there are otherwise reputable people still running around claiming that gasoline's dominance is divined by the immutable Laws of Physics. Interestingly, the BTU argument had been raised during the earlier days of automobile development. However, testimony presented at the Free Alcohol Hearings conducted by the House of Representatives' Ways and Means Committee in 1906, along with numerous studies (such as the U.S. Navy gasoline and alcohol tests on internal-combustion engines in 1907-08) and the well known results of simple manual driver adjustments, proved that the BTU variance between gasoline and ethanol was meaningless. The oil industry could have relied on another line of reasoning to explain the difference in why a gasoline powered internal combustion engine gets better performance from using gasoline than ethanol; they could have argued: "Gasoline has a gold color, while ethanol is clear and has no color; everyone knows that gold is more valuable than nothing." This argument makes as much sense as the BTU argument, but I presume they went with the BTU story because at least the BTU argument has the ring of scientific authenticity. Funnily enough, there's one gaping hole in the oil industry's BTU argument that deflates the whole issue, and the hole is caused by the oil industry itself. That hole is petroleum diesel fuel. Petroleum diesel fuel has an even higher BTU rating than gasoline. If the difference in so-called energy content explains why a gasoline optimized engine gets better miles per gallon of gasoline than if ethanol is used in the engine, then surely diesel fuel must produce even higher mileage if used in a gasoline ICE. However, that's not what happens. If you tried to use higher BTU diesel fuel in a gasoline engine you get less miles; in fact you'd get no miles if you put enough diesel fuel in the gasoline tank. How can this be? Gasoline and diesel fuel are both produced from petroleum oil; they're both produced during the same refining process; and they're both used as ICE engine fuels. So if a lower BTU fuel like ethanol gets fewer miles when used in a gasoline engine because it has less energy content, then surely the Laws of Physics must divine that the higher BTU diesel fuel has to deliver greater miles per gallon when used in a gasoline engine. The results are due to engine optimization, not energy content of the fuel. My guess is that if diesel engines had continued to be fueled with peanut or seed oil that the petroleum oil industry would have found a way to make peanut butter illegal. The BTU argument is simply a marketing and labeling strategy used by the oil industry. There is no Law of Physics involved. 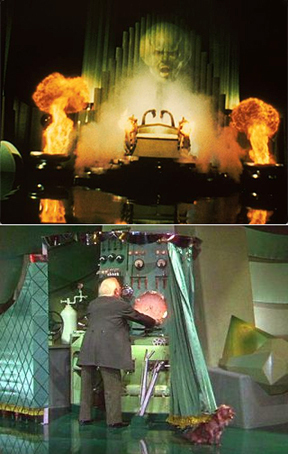 The oil industry uses British Thermal Units like the Wizard of Oz used smoke and loud noises to confuse the public, but behind the curtain it's all due to mechanical contrivances. An ethanol optimized internal combustion engine running on ethanol will match or out perform a comparable gasoline optimized internal combustion engine running on gasoline. An ethanol optimized ICE will power a vehicle to go faster and go farther per gallon of fuel than a comparable gasoline powered vehicle. And gasoline used in an ethanol optimized engine will get less MPG than if ethanol is used. Here's another take on the BTU issue: In 1936, William J. Hale, Ph.D, published a book titled "PROSPERITY BECKONS - Dawn of the Alcohol Era." Hale was a leading chemical engineer of his day. He was Director of the DOW CHEMICAL Organic Research Laboratory, Chairman of Division Chemistry and Chemical Technology, National Research Council, Washington, D.C., consultant to the Chemical Warfare Service, visiting Professor of Chemurgy at Connecticut and President of the National Agrol Company. In his book, Dr. Hale writes that the inefficiency of burning gasoline in a gasoline-optimized internal combustion engine loses 25% of it's energy value, whereas alcohol (ethanol) "enters into complete combustion" in the engine. Therefore, instead of comparing gasoline's 116,000 BTUs to ethanol's 76,000 BTUs (and advancing the idea that ethanol has 33% less energy than gasoline, as the oil industry lays out their story), you should deduct one-fourth of the gasoline BTUs. This the makes the comparison 87,000 BTUs for gasoline versus 76,000 for ethanol, presumably giving ethanol 12% less BTUs, not 33% less. "Thus," Hale writes, "the custom of comparing fuels on their potentially available British Thermal Units becomes at once obsolete." The significance to William Hale's position is that even if you want to discard my explanation for why ethanol might deliver fewer miles per gallon of fuel in a gasoline optimized engine (that is, that the difference is related entirely to mechanical adjustments and not inherent energy content), now you have an expert-chemist's explanation of why the stated BTU ratings for the two substances is irrelevant when discussing their use as a fuel in an internal combustion engine. If you're a man of science, or an engine mechanic or designer, and you are using the BTU argument to promote gasoline over ethanol, stop it. You should be ashamed of yourself. 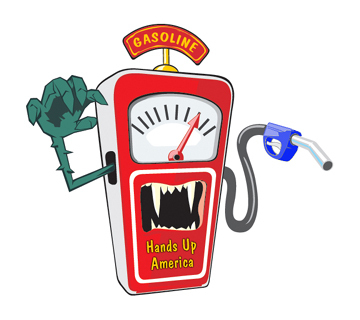 Gasoline is poison; it's a rip-off; it's unpatriotic; it's responsible for killing hundreds of thousands of American servicemen and women, and wounding millions more. * Independent testing has shown that the use of E30 to E50 ethanol-gasoline blends in flex fuel and non-flex fuel vehicles produces MPG results that are better than E0, E10, and E85. My own personal experience, as well as anecdotal evidence from others also confirms this result. Learn the truth about ethanol, to read my very in-depth report on why ethanol is better than gasoline CLICK HERE.